Medical assisting is a rewarding career choice for those in Rhode Island who want to contribute to providing patient care in settings such as hospitals, laboratories, doctor's offices and clinics. Unlike other states, The Rhode Island Board of Medical Licensure and Discipline has created policy statements and specific guidelines for medical assistants in the state. As a result, focused quality training is needed to pursue this career in the state. Read on to find out more about medical assisting guidelines and regulations in Rhode Island, as well as the job duties and salaries of medical assistants in the state. A successful medical assisting career begins with quality training. The following school in Rhode Island may provide students with that training. This is a competency-based program that allows students to work in small classes and labs in order to get the individualized attention needed to learn course material. Classes cover topics such as medical language, clinical care techniques, business math, and pathophysiology. In addition, students get experiential knowledge by working at a medical facility during the last two quarters of the program. How does Rhode Island define "medical assistant?" In Rhode Island, a medical assistant is an unlicensed health care professional that received on-the-job training or a formal education to learn how to perform routine clinical, administrative and clerical duties is a variety of health care settings. Medical assistants must work under the supervision of licensed professionals-registered nurses, physicians, advanced practice registered nurses, physician assistants and licensed practical nurses-at all times. Rhode Island does not require that medical assistants earn a certification, and the state does not issue licenses to these professionals. They do have the option to earn a certification by passing the examination administered by the American Association of Medical Assistants. Medical assistants can also become registered through American Medical Technologists. Is medical assistant training required? Medical assistants can complete a degree program that is accredited by the Accrediting Bureau of Health Education Schools (ABHES) or the Commission on Accreditation of Allied Health Education Programs (CAAHEP). However, a medical assistant degree is not required and medical assistants in the state can receive on-the-job training. What tasks are medical assistants in Rhode Island allowed to perform? What tasks do medical assistants need a certification or registration to perform? What tasks are medical assistants not allowed to perform? Medical assistants in the state make salaries that exceed national levels. The following table compares average Rhode Island earnings to U.S. averages. While specific salaries can vary depending on employers, the information below provides a range of what medical assistants in Rhode Island can expect to earn. According to the Rhode Island Department of Labor and Training, the healthcare industry is one of the fastest growing businesses in the state, thanks to factors such as the aging population and advances in medical technology. In fact, in the coming years, the field is expected to grow by 15.8 percent. Similarly, the available positions for medical assistants are also expected to increase, as outlined by the table below. This organization administers the Certified Medical Assistant examination. In addition, AAMA also provides continuing education and professional networking opportunities. This agency provides certifications for medical assistants, as well as continuing education. Provides details about what medical assistants are allowed to do by law, as well as what they are prohibited from doing. 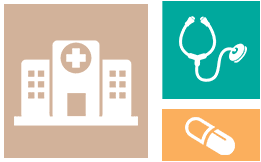 This page has information from the Rhode Island Department of Labor and Training about the occupational outlook and salary potential of different health care professions in the state.